We are delighted to present this impressive contemporary new build garden design in our portfolio. 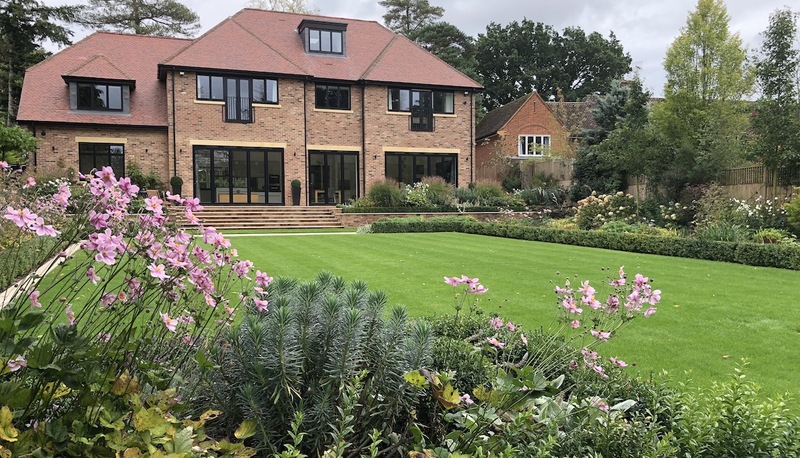 Our clients approached us at the planning stage of their beautiful new house which they were having built in Harpenden. 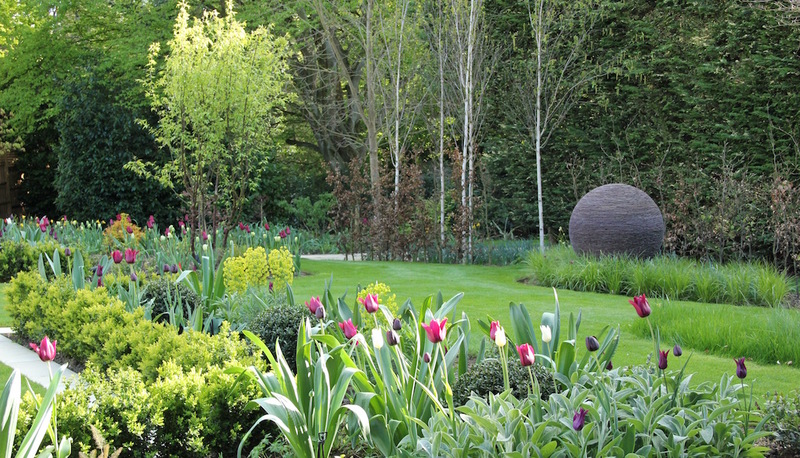 The brief was to create an elegant outdoor space, which would compliment the house. 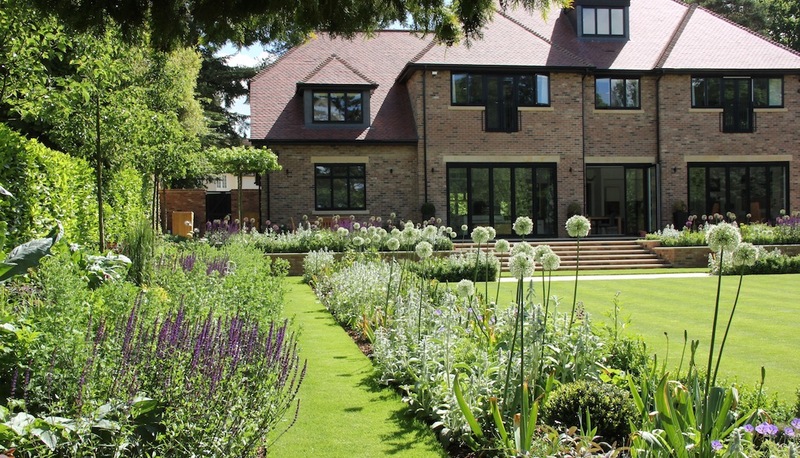 The new garden design was to be contemporary in style, whilst tying in seamlessly with more traditional materials. 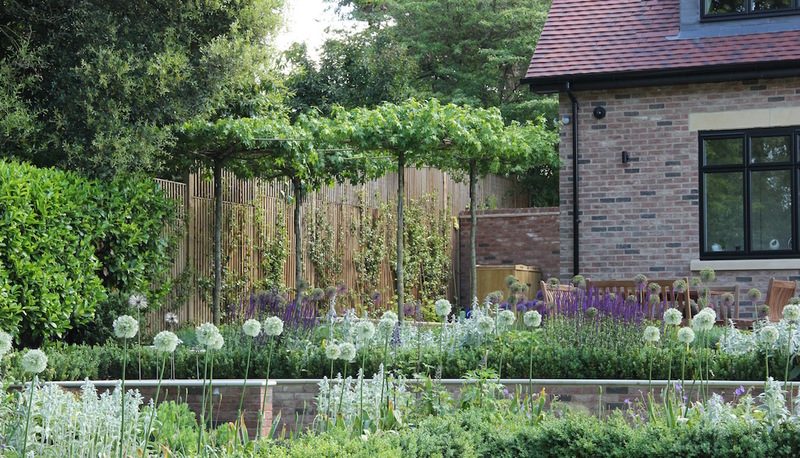 We have achieved this aim by combining solid natural materials with brick built retaining walls. 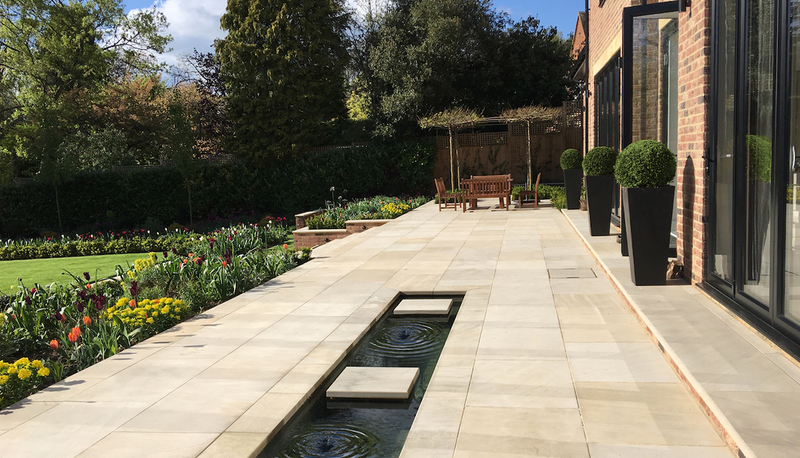 We designed a long water-rill, with bubble fountains, to one end of the new sandstone terrace. Four roof-trained Liquidambar trees sit to one side of the dining area, creating an intimate space with views back to the water-feature. 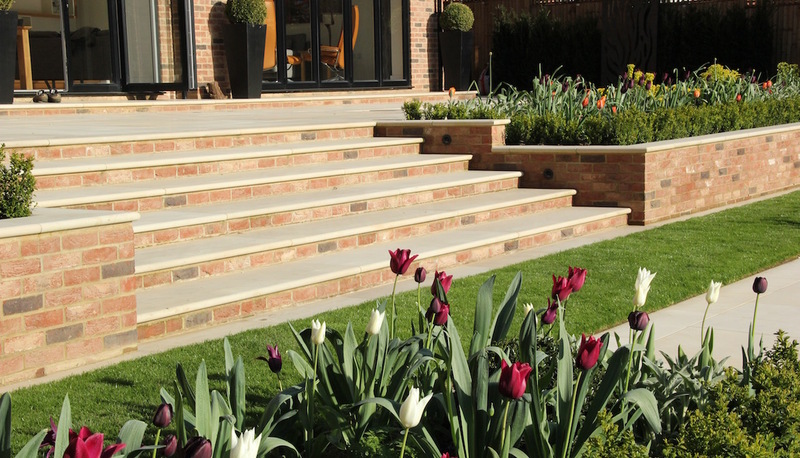 Expansive sawn sandstone steps, flanked by raised flower-beds, lead down to a large formal lawn. 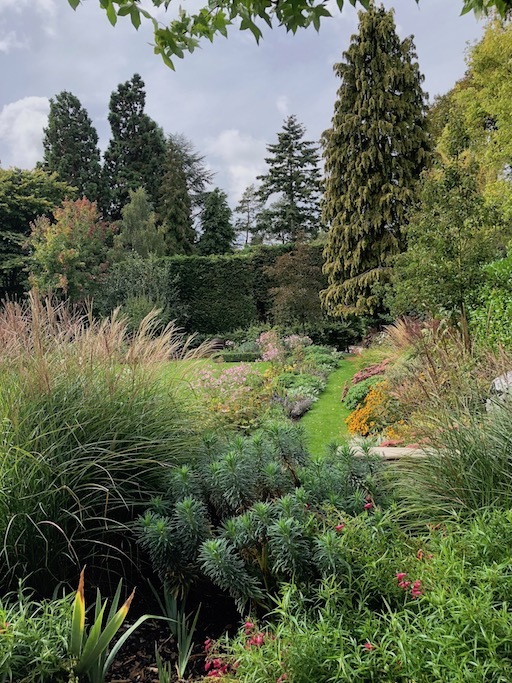 Long flower-beds run the perimeter of the lawn, with grass paths creating vistas towards the informal rear of the garden. 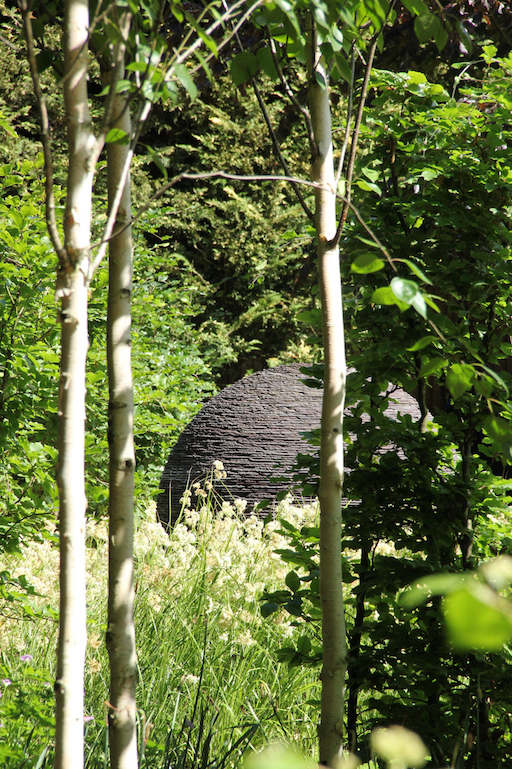 A bespoke slate sculpture commissioned by James Parker, draws the eye to the rear of the garden. A group of Birch trees softens the back drop of evergreen trees and the generous borders exude colour and vibrancy. 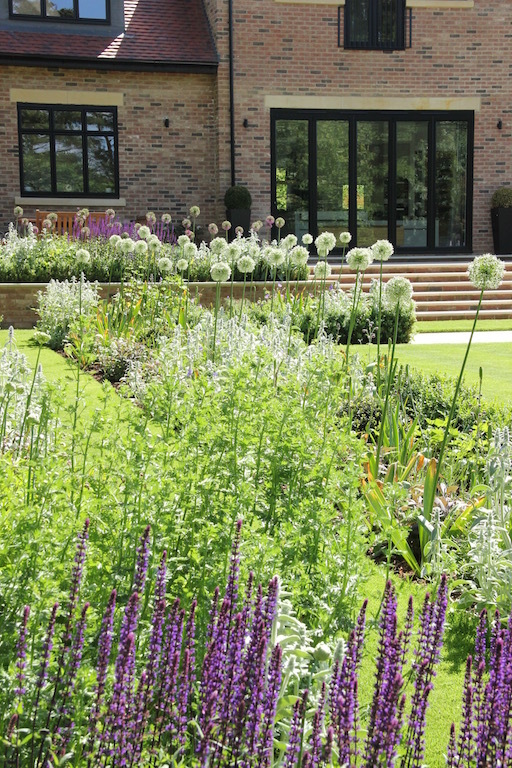 By creating generous borders and interesting focal points, ee have created a really spectacular garden! 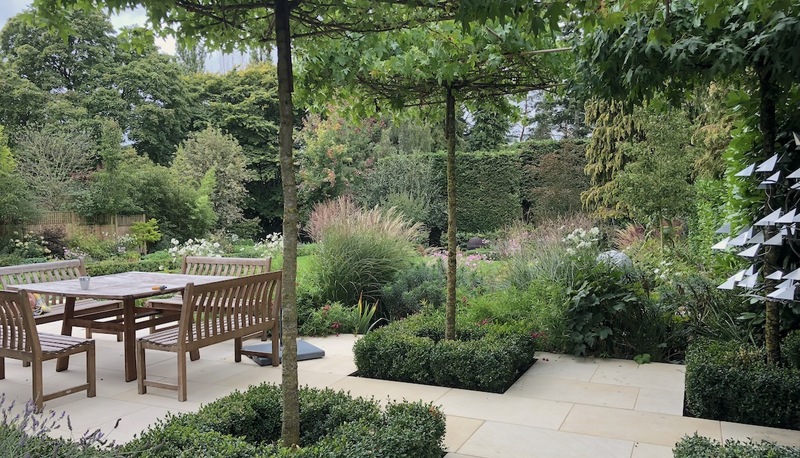 Construction by Armstrong Landscapes Ltd.
Amanda designed my garden, wrote the technical specifications, oversaw the execution and sourced and planted all the trees, plants and bulbs per the design. We are hugely impressed. In particular, she was able to translate our somewhat incoherent ideas on what we wanted into an amazing design, whilst respecting the budget parameters we set. She has a great insight into what will work by way of design and effective planting. Amanda listened, but delivered something that we couldn't have imagined. The sight lines from the house are lovely and will be stunning through the seasons. She has a lovely team around her and partnered well with our landscape contractors. We can't recommend Amanda highly enough and wouldn't hesitate to recommend her for large or small projects.